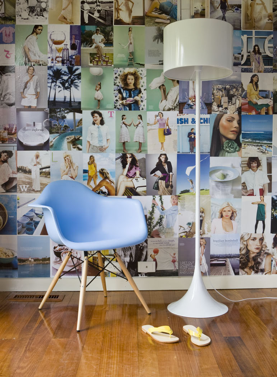 This is a neat idea for one wall of a bathroom or kitchen - placing magazine or photo spreads from floor to ceiling. Complete the look by using neutral furniture against the wall. 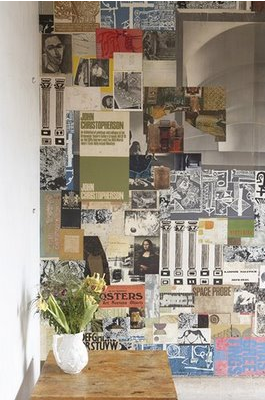 2 Responses to "USING YOUR WALLS: Floor-To-Ceiling Art Gallery"
I like this...i did this to one of my guest bedrooms...looks pretty good. Gives that area a more appealing look. Sometimes plain wall paint can be boring!! i want a whole wall for all my tear sheets!!! love this. and i love the way the blog is lookin'!